Parents for Safe Routes T-Shirts! 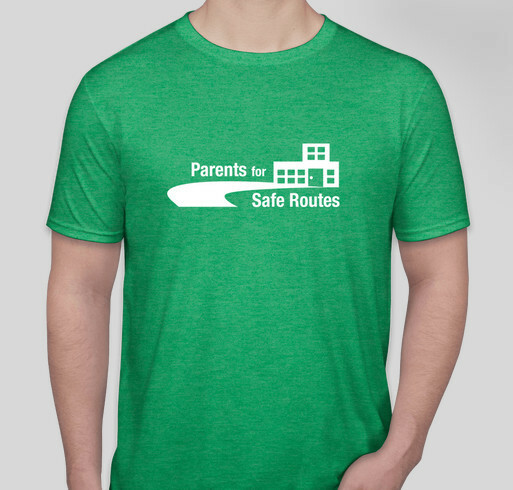 Buy a shirt to help support Parents for Safe Routes! All funds raised will go to Jen Wolosin, the organizer for Parents for Safe Routes. Parents for Safe Routes is committed to getting kids to and from school safely. Your purchase of a t-shirt will help fund our efforts to build a community partnership with schools, municipalities and the community at large to make Menlo Park a better place for all of us. Plus, you'll look super cool around town in your shirt! Share Why You Support "Parents for Safe Routes T-Shirts!"